Car Waxes contain some kind of naturally occurring wax, for example carnauba wax or beeswax. Paint Sealants are made from synthetic or all man-made ingredients. Cleaner Waxes clean, polish and protect in one step. They contain natural protection ingredients like Carnauba wax. Examples include 3M One Step Cleaner Wax and Zymol Cleaner Wax. Cleaner Sealants clean, polish and protect, and they use all synthetic protection ingredients. McKee's 37 360 Corrects, Cleans, Seals and Klasse All In One are examples of cleaner sealants. Finishing Waxes offer no cleaning ability with the focus on maximizing beauty with the protection based upon naturally occurring ingredients. BLACKFIRE Midnight Sun Carnauba Paste Wax is the classic example of a finishing wax, sometimes called a show car wax. Finishing Sealants offer no cleaning ability with the focus on maximizing beauty with the protection based upon synthetic ingredients. BLACKFIRE Wet Diamond All Finish Paint Protection and Polish Angel Master Sealant are both finishing sealants. Hybrids are a combination of both natural and synthetic ingredients, so they don't fit neatly into the other categories listed. Some hybrids clean and some do not. Wolfgang Fuzion Carnauba-Polymer Estate Wax is an example of a hybrid without cleaning abilities. A cleaner wax contains a blend of chemical cleaners and often times some type of abrasives, either diminishing or non-diminishing. Together the chemical cleaners and the abrasives will remove oxidation and road grime from the paint, which will restore clarity and richness of color. At the same time, they�ll leave behind a layer of protection to help lock in the shine and protect the paint from the elements. Many of the products you see at the local auto parts store are cleaner waxes. When you go to your local auto parts stores, most of the retail waxes on the shelves are cleaner waxes targeted at casual detailers, not die-hard detailing enthusiasts. These products are geared toward daily drivers - vehicles that are driven every day and therefore show more wear and tear than a garage-kept car. Cleaner waxes accomplish polishing and protecting in one step so they are popular choices for occasional detailers. A cleaner wax is best used on a neglected finish because it will likely have paint contamination buildup. Cleaner waxes, or all-in-one products, are designed for people who want to polish and protect the paint in one-step. Their goal is to get a great looking finish without having to invest the time and effort associated with a multiple-step approach. A cleaner wax doesn't need to be used, and in most cases shouldn't be used, on a car in which the paint is in excellent condition; for example a brand new car or an older car in which the paint has been properly cleaned and polished. Finishes in great condition would be better served using a finishing wax or finishing sealant. Another example of a finish that does not need a cleaner wax is a brand new paint job after the regular 30 days air-cure waiting time. Brand new paint should look great after you pick it up from the painter but most painters will tell you to wait at least 30 days before sealing the paint with either a wax or paint sealant. After the 30 days have passed, a finishing wax should be used, not a cleaner wax. Theoretically new paint should in excellent condition so you shouldn't have to use any product with cleaners or abrasives in it. Why mess with perfection? In most cases, a cleaner/wax type product needs to be worked into the surface. Cleaner waxes are not wipe on, wipe off products. Part of the cleaning action comes from you either working the product into the paint or you running an electric polisher that works the product into the paint. The worse condition the paint, the more you'll need to work the product. A finishing wax is much different than a cleaner wax. A finishing wax either doesn�t offer any cleaning ability at all, or at least not enough to be a usable feature of the product. A finishing wax is a wax or paint sealant used to add the finishing touch to a car on which the paint is in excellent condition to start with and/or the paint has been reconditioned through polishing and paint correction. If you use a compound or swirl remover to first remove any defects like swirls and scratches, and then use a polish to restore gloss, the last step should be the application of a finishing wax. You've already polished. No additional abrasion or cleaning is needed. The finishing wax or finishing sealant is the icing on the cake. Wipe-on, work in and then immediately wipe off with no drying time. Wipe on, allow the product to dry and then wipe-off. Since finishing waxes and paint sealants should really only be applied to a finishes in excellent condition, there's no need to aggressively work the product over the surface like you would a cleaner wax. With a finishing wax or sealant you would apply and spread the product out of a section of a panel and then work the product gently for 2-3 passes over each square inch just to evenly cover the paint. You would not work the product like you would a cleaner wax with the idea of trying to remove defects. Finishing waxes and paint sealants are often wiped on, spread around and then immediately wiped off. 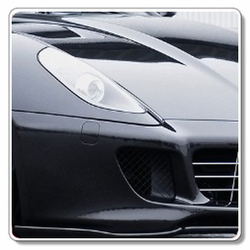 On detailing discussion forums, these types of products are referred to as WOWO (wipe on, wipe off) products. Some manufacturers state that their products need to dry before removing. For these types of products, you would apply and spread the product out to create a thin coating. Then allow the coating to fully dry before removing with a soft towel or bonnet. Choose a paint sealant or wax based on the condition of your vehicle's finish and the amount of time you wish to invest. Is your car brand new? If so, you will get great results with a finishing wax. Is your car older and the paint is looking dull? Here's where you have decide how much time to invest. Do you want to do a multiple step process? This will involve polishing to improve the paint's gloss and then waxing with a finishing wax. Or do you simply want to wash and wax the car? Choose a cleaner wax. You'll still get good results in most cases but with less time and effort. A cleaner wax will require some elbow grease (or the help of a polisher) to work the cleaners into the paint. Cleaner waxes, cleaner sealants, waxes, paint sealants, and hybrids are all good choices. Select a paint protectant based on your vehicle's condition, your goals, and how much time and effort you want to invest in the process. No matter which product you choose, what's important is that you're taking care of your paint finish.